Hello, everyone! 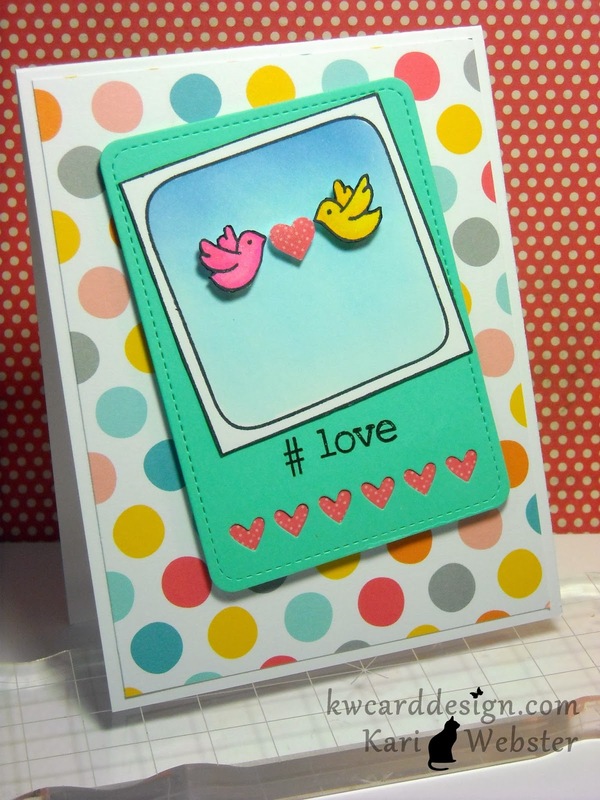 I wanted to pop in real quick and share with you my latest card tutorial on my YouTube Channel. It is the same design as the card I made for the latest Lawnscaping Challenge, but with a different color scheme, and image. Below is the video for making this card!! Hello, hello! Wow - time sure is flying! I can't believe we are starting up a new challenge already! 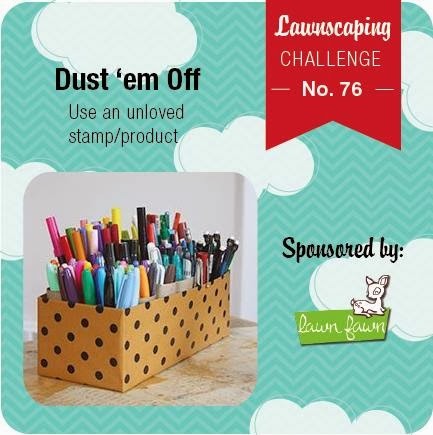 We want you to "dust 'em off" - get out a crafty tool or stamp that you don't use or haven't used in a while and show the love! I used two stamp sets, and a few of my Stampin' Up inks that I haven't used much. 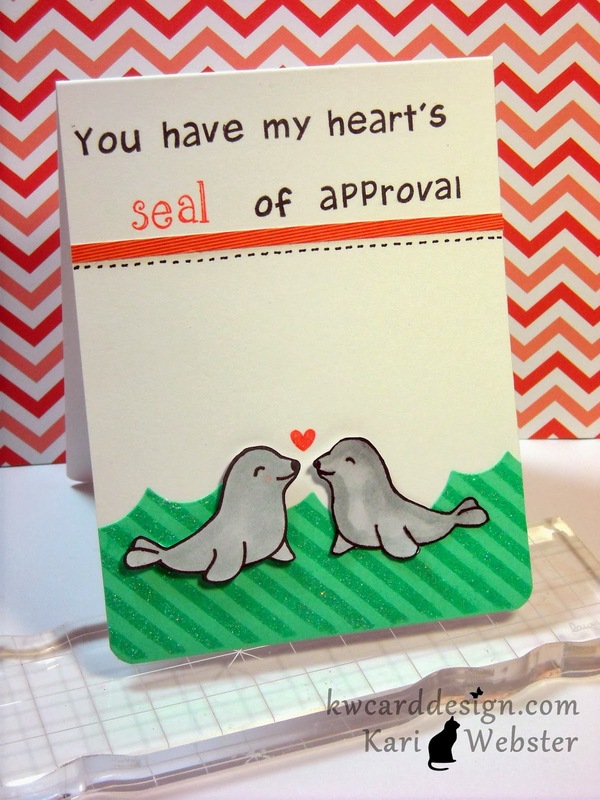 In fact the My Silly Valentine stamp set I've never inked up!!! I know, right!?! I also used Interlocking Backdrops - and I inked up the hexagon strip with Coastal Cabana, Pool Party and Pistachio Pudding inks. 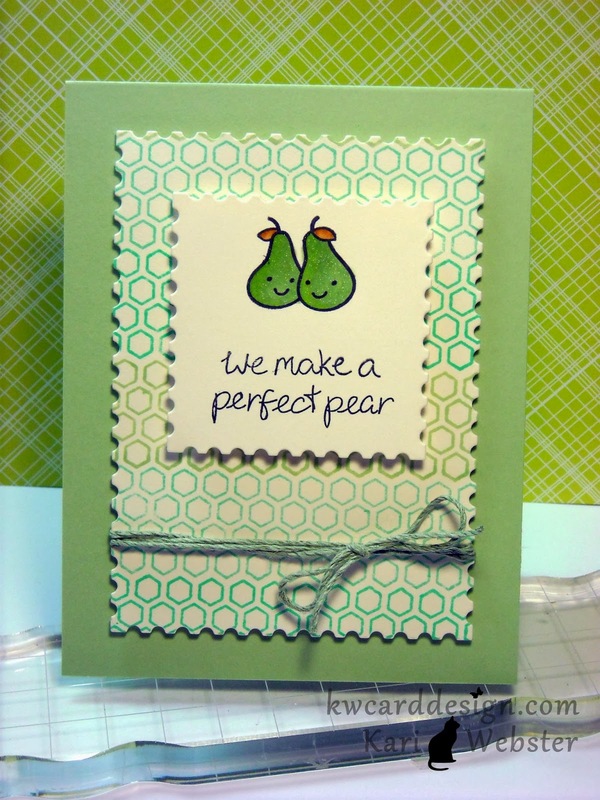 I die cut two panels from my Postage Edge frame dies from SSS, and I stamped out my hexagon background first - then I stamped on the square panel the two pears and colored them in with Copic Markers - and of course had to add shimmer like the rest of the card making population with my Wink of Stella pen :) I, then stamped out my sentiment which "pairs" up with my pears :) Super punny on that one! I doubled up on the foam squares for the small panel, and adhered it to my stamped panel and then I added some Lawn Trimmings and then I added both panels also with foam adhesive onto a Pistachio Pudding card base which is A2 size. Hope you are able to join us for this new challenge!! Lawn Fawn is our wonderful sponsor this week!! And, the new release will be available this week too!! YES!! Sorry - a little excited there! See you soon - thanks for stopping by! 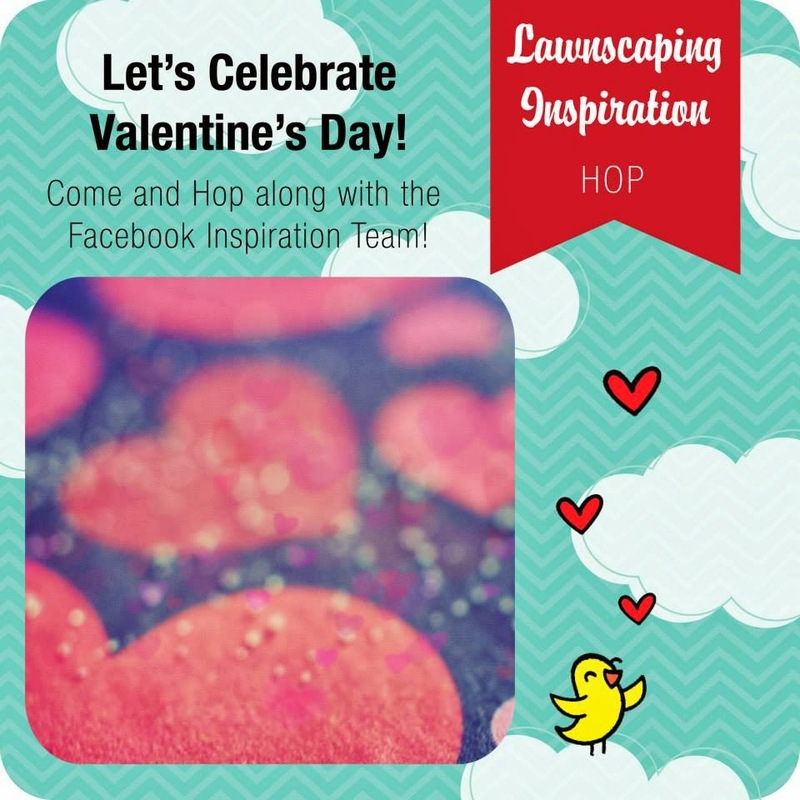 Welcome to our very first Lawnscaping Inspiration Blog Hop!! Hope you have had fun so far on this lovey-dovey journey as we are feeling the love on this Valentines Day! You should have arrived to my blog by the way of my girl Lizzy!! She's always got something fabulous to feast your eyes on!! I wanted to create something really special for this hop - and I hope you feel that it is! I did a technique that I haven't done in a while called "Mirror Stamping". It is super fun, but it is a little tedious at times. 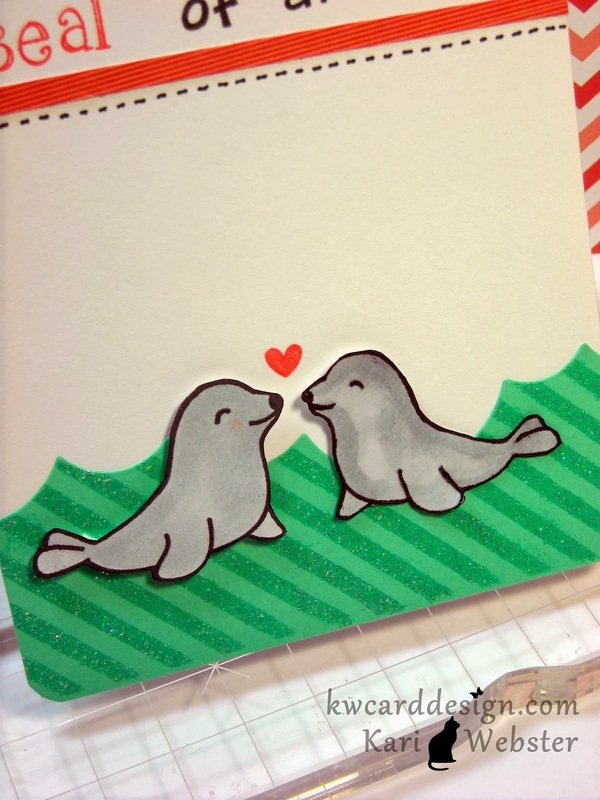 I wanted two seals in love :) So I had to get this by having two seals that were facing each other - and to accomplish that - mirror stamping was involved. I used the seal from "Critters in the Sea". It only took me a couple of tries to get the image I wanted to use - but it was worth it. I also stamped out my own custom sentiment used the alpha sets - "Harolds ABC's" and "Sally's ABC's". I love mixing the two fonts together. I created my "water" by first using some scratch Coastal Cabana card stock, and I used the diagonal stencil from Simon Says Stamp and some Judikins Iridescent Sparkle embossing powder, and then I took a die from Mama Elephant Landscapes dies and created a wave to my water. 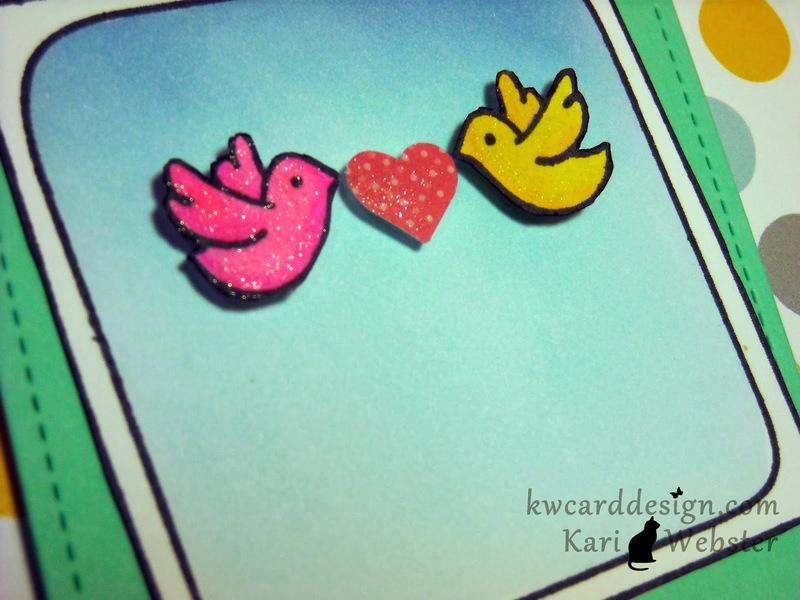 And, what is two seals in love without a heart in between them :) I used a small heart image from "Into the Woods" stamp set stamped with Lady Bug Memento ink, and added a little bit of shimmer using my Wink of Stella pen. I like how this card came out - and I hope you like it too!! Well - its time for me to send you on your way to the lovely and super fun Lenny!! Thanks for stopping by and enjoy the rest of the hop!! Happy Valentine's Day!! Welcome back to a new challenge over at Lawnscaping! I think a lot of us like heart or polka dots or both! So - in this challenge you get to use one or both in your project!! I used both in my card! I just love these birds and thought they particularly would be a cute addition because their wings look like hearts. I also used the heart strip die that comes with the Stitched Journaling Card die, and added some pattern papers from the new 6x6 pad Hello Sunshine! This month is an exciting one as the new releases are going to be available at Simon Says Stamp! And - they are our wonderful sponsor for this challenge!!! 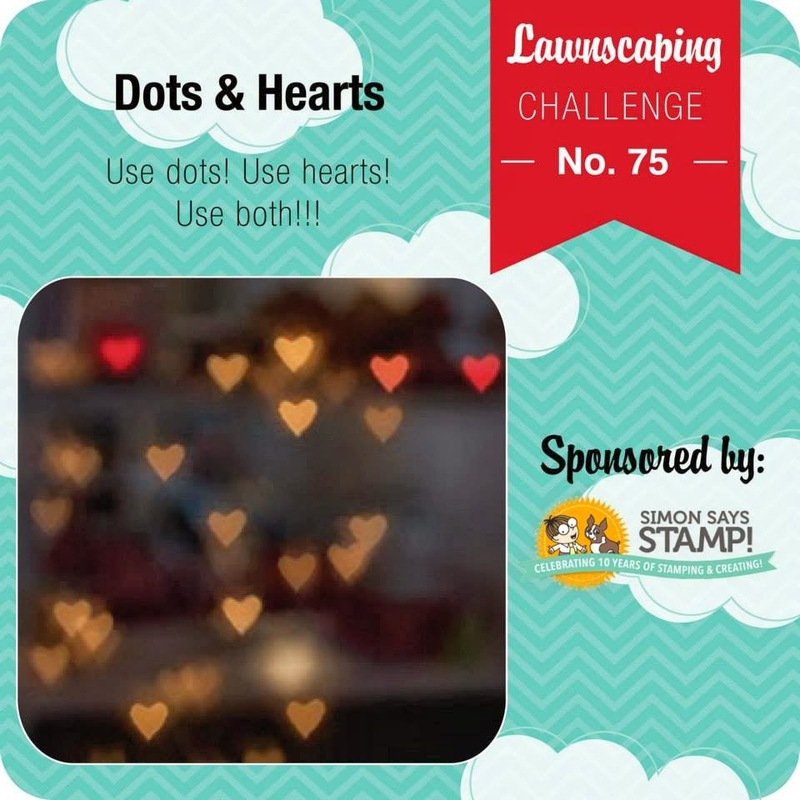 I hope to see all of your wonderful ideas on how to use heart and dots!! See you over at Lawnscaping!